New Delhi: Union Minister of State for Ayush Shripad Yesso Naik will visit the Netherlands on Saturday to attend the fourth International Ayurveda Congress, an official statement said today. Naik will lead a delegation comprising senior officials from the Ministry of Ayush, including the Pharmacopoeia Commission of Indian Medicine and Homeopathy, a statement issued by the Indian Embassy in the Hague said. The fourth International Ayurveda Congress (IAvC) will take place between September 1 and 3 at Leiden, Netherlands. During the event, the India Embassy will organise a special seminar “India-Netherlands collaboration in Healthcare, including Ayurveda”. It will be addressed by Dutch Minister for Medical Care and Sport Bruno Bruins and the Ayush minister. Speakers at the seminar will include Alojz Peterle, former prime minister of Slovenia and current member of European Parliament; Tony Nader, world head of transcendental meditation movement; G P Geetha Krishnan, world health organization (WHO) and Indian Ambassador to the Netherlands Venu Rajamony, the statement said. During his stay in the Netherlands, the Ayush minister will pay respects to Maharishi Mahesh Yogi, the founder of transcendental meditation at the Maharishi Peace Palace located in the campus of Maharishi European Research University (MERU) in the Limburg province of the Netherlands. Maharishi Mahesh Yogi lived in the Peace Palace from 1990 until his samadhi in 2008. The minister will be briefed about the Ayurveda, transcendental meditation and other educational and health care programs of MERU. He will visit the Indian stall at the Embassy Festival being held in The Hague, participate in the Janmashtami celebrations being organized in the Gandhi Centre (Indian Cultural Centre) and interact with the Indian community and friends of India. He will further visit the New Amsterdam School of Yoga and witness a yoga demonstration by Dutch students. The fourth IAvC will explore the 340-year relationship between the Netherlands and India and bring to light traditional natural remedies from India and Europe. Speaking about the event, Ambassador Venu Rajamony described the International Ayurveda Congress and associated seminar as the largest high-level event focused on Ayurveda ever to be held in the Netherlands. He said the participation of the Ayush minister from India and the Dutch minister of Healthcare in the seminar signifies the keenness of both the countries to expand collaboration in this field. 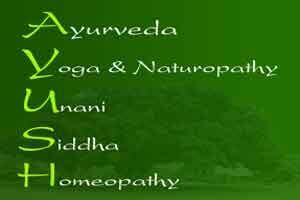 “Ayurveda and Yoga can be of tremendous benefit to the ageing population of Europe. The embassy, in association with organizations engaged in the promotion of Ayurveda, hopes to carry forward the mission of mainstreaming Ayurveda and yoga in the Netherlands. I am also particularly happy the Ayush minister from India will visit the samadhi sthal of Maharishi Mahesh Yogi in Limburg province of the Netherlands,” Rajamony said. The fourth International Ayurveda Congress is being organised by International Maharishi Ayurveda Foundation, Netherlands; All India Ayurvedic Congress, New Delhi and the International Academy of Ayurveda, Pune in association with the Indian Embassy in the Netherlands.